Are you also looking for WebMeUp alternative? Then this post is for you as I am going to share many best WebMeUp alternative for you to use. I am sure this list of best WebMeUp alternatives will be a perfect replacement for all your SEO need. But before going into the details of top WebMeUp alternative, let me tell you something about WebMeUp and why one need to find the replacement of WebMeUp. WebMeUp has been a number one rank tracker tool for years and was quite famous in internet marketing world. 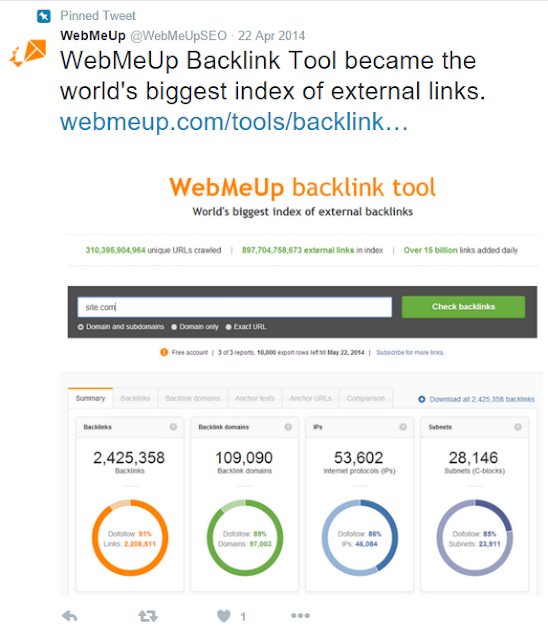 Having excellent SEO facilities with backlink tool, WebMeUp claims as world’s biggest index of external backlinks. But it seems WebMeUp didn’t move with the changes in technology and customer demand and so had to shut down few services. As per the article posted on official WebMeUp blog, all the current subscription were already ended on 11th July 2014 and those customers who didn’t use their subscription got refunded. It is quite well known that every business wants success and profit and that’s the business. If someone is not making a profit why they will continue? The same happened with WebMeUp as well. When this SEO industry was at a peak, WebMeUp didn’t match with the demand of technology and customers meet. Moreover, their all in one app and SEO API didn’t go well, and so they decided to close down the service by July 11, 2014. This news got viral and was a popular topic to debate. Here is one screenshot I found from the inbound forum. What happened to the customers? 1. Refunded the money to those customers who bought the service but didn’t use it. 2. WebMeUp developed a tool which was allowing their existing user to export all the data they had with WebMeUp so that they can use it further with any other company (WebMeUp alternatives). 3. And definitely, as they stopped the new subscription, so no point to discuss on that. So now let me take you through the few best alternatives of WebMeUp for you to use as a backlink checker tool, a tool to analyze your data and we can say for all the SEO related stuff as these tools help a lot in link building. SEO or internet marketing industry is not the same what it used to be in a few years ago. Competition is at peak, and everybody wants to be at the top position and generate high revenue and those who do it wins. The only good thing we have now is, we have tools like link building tools, backlinks checker tools and much more which make our work bit easy. So let’s start with these few best SEO related tools which are perfect WebMeUp alternatives. Web CEO has established themselves as a market leader when it comes to SEO related tools. From small scale marketers to large enterprises, they have made their presence everywhere. Because of the quality of service that Web CEO provides, they have around one million happy customers worldwide whose online businesses depend on Web CEO. Web CEO Limited, founded in 2000, produces the world-famous Web CEO SEO Software and White Label SEO tools. Today, Web CEO provides its customers with 15 full-fledged SEO tools for keyword research, SEO audits, landing page optimization, rank tracking, backlink quality checks, internal link building, social media analytics, content submission and competition analysis, etc. As stated, Web CEO is one of the best SEO tools available. Here are some of the products and features of Web CEO that are used by all types of people no matter whether they are a small blogger or a big enterprise like IBM, GE, etc. Web CEO has established them as the market leader regarding white label SEO software. They are working quite hard to make Web CEO a one-stop destination for all types of SEO needs, starting from keyword research and moving on to create backlinks and needless to say they’ve had much success in it. • A Mobile Optimization report that will help you detect issues that may influence your site rankings in mobile search. Because link building is an important SEO aspect, Web CEO has made incredible tools that allow you to analyze your links, get competitors links and much more. • It helps you to identify the 404 pages that are no longer available on the web and eliminate those. • You can also check the most linked pages of your site, internally and externally, and how much juice the pages have where the links come from. This I liked the most about Link Building with WebCEO. All you have to do here is add your competitors’ site, and you will see all their links and whether they are nofollow or dofollow. Because your competitors are from the same niche, you should work to obtain links from the same pages they have links from. This will be best to boost your ranking. This is a crucial segment of SEO where you get data from search engines including Google plus other web traffic measuring companies, analyze the data and then make decisions. There are many tools in WebCEO for doing market research so that you can be ahead of your competitors. • Rank Tracking Tool – Here you can target 370+ global and local search engines to track results based on your target location and target devices (desktop or mobile searchers). 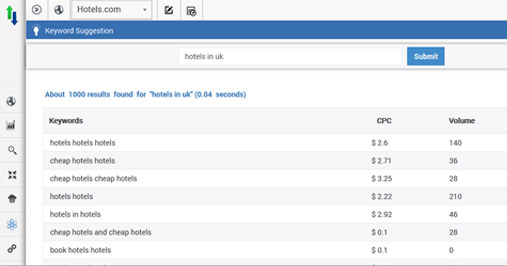 • Competitor Metrics – You’ll have access to your competitor’s data. Spy on what they are ranking for, what they are optimizing for and what their best backlinks are. Check what their metrics are and work accordingly. • Web Analytics Tool- Analyze what your visitors do when they enter your site. • You can even integrate your Google Analytics tool to see page views, sessions, bounce rate, etc. on the Web CEO dashboard. For those who offer SEO services, the best way to get SEO leads is to showcase your potential to your prospects. The best way to demonstrate your business solutions is to provide your points with a quick analysis of their SEO status with all the issues they have. With the Web CEO Lead Generation Module that comes as a bonus to SEO tools, you can nurture your SEO leads and convert them into customers. • Express SEO Audit reports. • Lead Generation Widget placed on your site. Web CEO has come up with different plans to select from. You can use the FREE plan where you’ll have access to just two projects. If you just want to test things, go for it! If you are seriously looking to get into SEO, start with any of their plans like Startup which starts at $99 per month or Corporate which comes at $199 per month and so on. 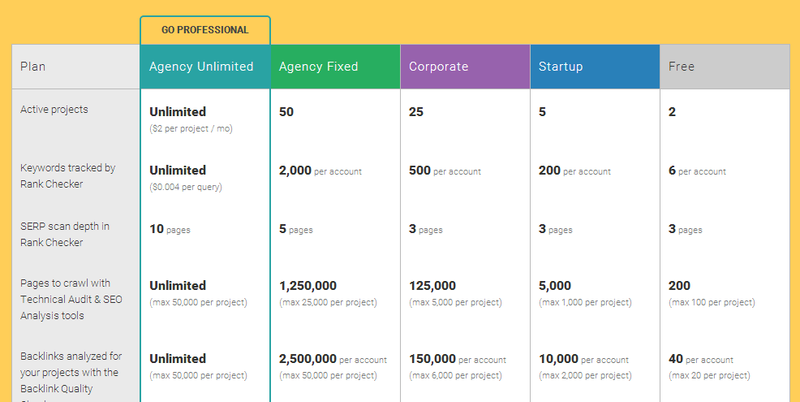 The Agency Unlimited Plan starts at $99 per month and then it’s just $2 per month per active project plus $4 for 1000 rank queries. You can check the details of the plans below. We recommend Web CEO Tools which are an affordable enterprise-level alternative to WebMeUp. RankWatch is another stunning SEO tool, which I feel is a complete replacement of WebMeUp. RankWatch, a complete SEO management software, is a cloud-based Internet Marketing Platform, which has Artificial Intelligence of its own. 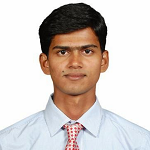 With over 30k customers worldwide, RankWatch is growing rapidly and as per me, it is a perfect alternative to WebMeUp. 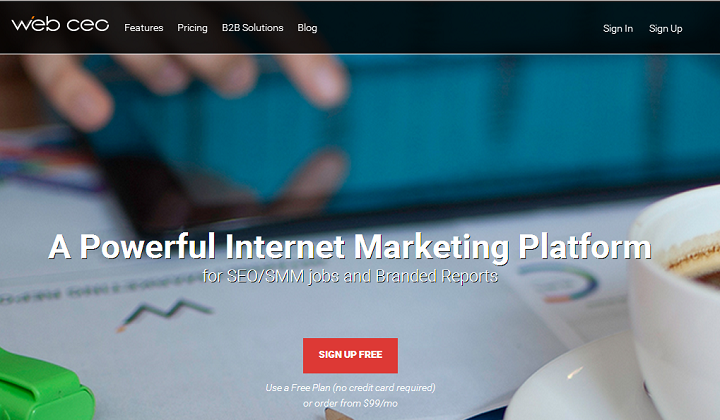 Sites like Entrepreneur, Sitepronews, Internet World and much more has recommended RankWatch. This confirms their authenticity when it comes to SEO software. Here are some of the amazing features and tools by RankWatch which will help you in your online journey and will help you to take your online business to a new height. As mentioned, RankWatch is a complete SEO management tool that allows their customers to keep an eye on all the current happenings with their data and trends by linking your website with Google Analytics. Once you sign up with RankWatch tool, you’ll be having a separate account which you can access anytime to get the report for your website. You can generate an unlimited number of reports of a different kind which gives you the flexibility to meet your target customers without any data. Also, you can show them the real-time analysis which is stronger than the report you will carry. This is one feature that I liked the most about RankWatch. It allows you to check how Google SERPs looked previously for particular keywords. RankWatch will give you the exact screenshot of the search engine page from their “Keyword Archive” to display how it was looking earlier so that you can keep track of your rankings. The dashboard is one of the strongest points with RankWatch. This dashboard displays all the data about a company including vital stats in different graphical forms to simplify decision making. And that’s why they call it as CEO dashboard. To grow your business, you also need to keep a track on how your competitors are doing. RankWatch eases this task for you. It will assist you by keeping a close eye on your competitor’s online activities, organic or paid, and will provide a report to you for the same on a timely basis. To fulfill all the SEO requirements that you would want for your business, RankWatch keeps improvising and adding new features. Keyword suggestion tool allows you to find the best, profitable and easily rankable keywords for your business. Not only these, but there are also many more features of RankWatch which keep them ahead of their competitors. Here I am listing few more. • Backlinks – Helps you to analyze the keywords of any websites or page. It will show you the Deep Link Ratio, Site Wide Vs. Non Site Wide, Do Follow Vs. No Follow, Image vs. Text, TLD Distribution, Strongest Page and much more. • Site Auditor: This is a comprehensive checkup of your website - It looks into every aspect of your website by crawling each of your pages. Also, it categorizes the errors into “major”, “moderate” or “minor”, depending upon the priority. Every issue from the number of pages which have duplicate content or pages with long meta keywords is pointed out. ● Toxic Backlinks - this backlink lower your search engine ranks. It is very essential to identify them and remove them at once. RankWatch crawls your pages and unveils the toxic backlinks in a matter of seconds. • Website Analyzer – It analyzes your site on many factors including codes, website loading time, errors and gives you an overall score. Based on the score, you can work in areas that offer scope for improvements. 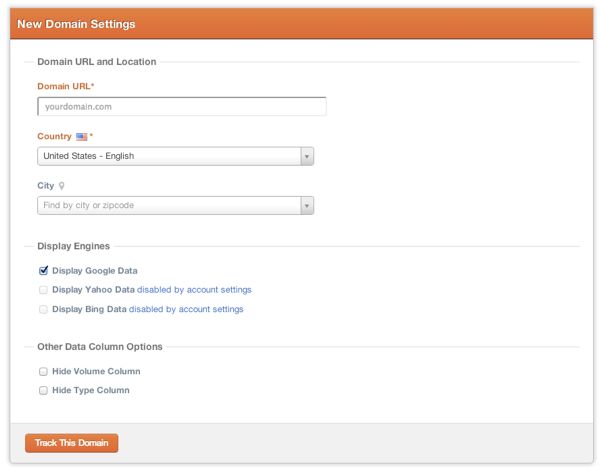 • Integrate with Google Analytics – This is also very helpful. I am sure that majority of us (better all of us) use Google Analytics and integrating with RankWatch will allow you to check the data like Page view, sessions, bounce rate and other features on RankWatch portal itself. • Email Alerts- The tool notifies you with reports via email of any will fluctuations in your keyword rankings. • Allow you to get the report in multiple forms and to save in multiple formats like CSV, Excel, etc. 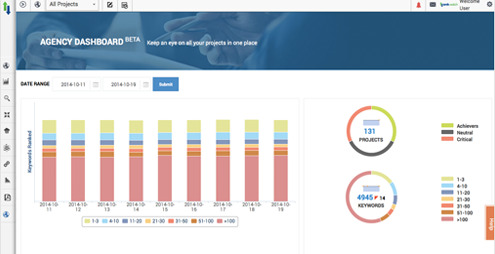 These reports are fully customizable and can be scheduled from your dashboard. RankWatch has different plans, which you can customize as per the requirements of your enterprise. If you are a small business owner, you can try their M plan which allows you to start with 250 keywords. This just starts at $29 per month followed by L plan for $99 per month and more. If you select the 6-month or 12-month subscription, the price will be much lower. So, RankWatch provides a perfect SEO management solution for all your SEO needs in the budget. AuthorityLabs is a premium SEO tool that helps you at each and every aspect of SEO starting from the keyword research to link building and then analyzing those to take some serious business decisions. AuthorityLabs helps you gain an understanding of how search engines are displaying your brand over time. 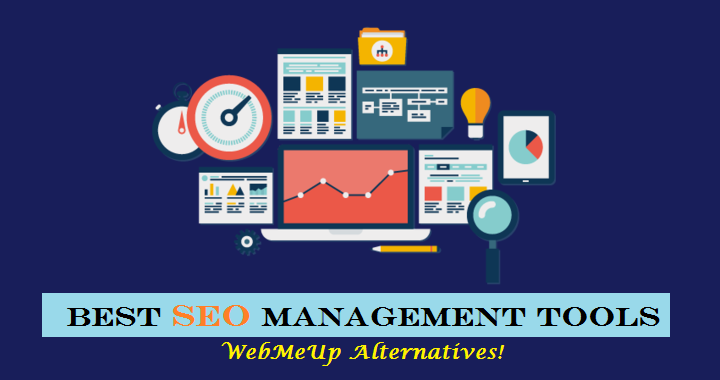 They provide complete SEO and analytics solution for your business and is also a perfect WebMeUp alternative. AuthorityLabs is a service that will monitor page position for specific keywords over time. If you are optimizing your website to move onto the first page, this sort of tool might prove critical. It makes it possible for you to see, on a daily basis, where your site ranks about hundreds of keywords over many domains. As stated above, AuthorityLabs is a complete SEO management software providing wide ranges of search engine ranking solution at affordable cost. Here are the some of the amazing features of AuthorityLabs. Yes! You heard it right. You can use all the premium features of AuthorityLabs completely free for 30 days and that too without any credit card. Unlike other companies, AuthorityLabs will not send you daily remainder for up sale or some other sales. When you approach to 30 days, they'll send you the remainder, and if you liked it go further else, you could terminate the account without any question asked. This is another impressive feature of AuthorityLabs that you will love to test. Many competitors when limits the users based on the subscription plan, AuthorityLabs allow you to add any number of users in any plan. So if you have multiple members of your team then also, you are ready to go with any of their plans. 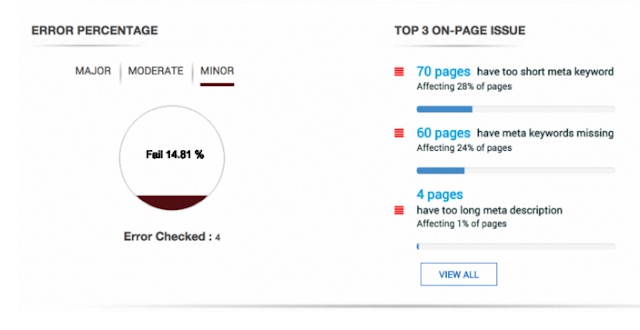 AuthorityLabs has three plans for your complete SEO schemes. The most basic plan is “Plus Plan” which comes at just $49.0 where you would be able to analyze 250 keywords and 50 domains for analysis. 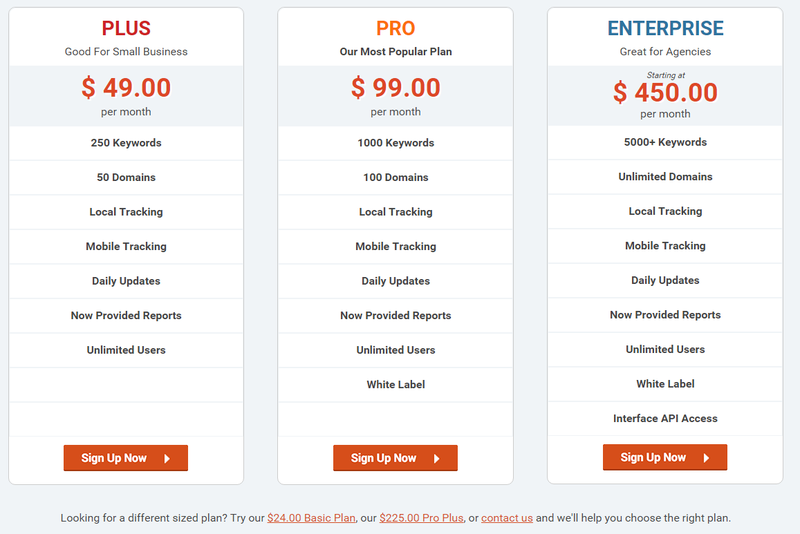 If you have medium level business, then you may want to go with Pro plan which comes at $99 per month where you would analyze 1000 keywords and 100 domains. For a big enterprise, go with Enterprise plan which allows unlimited domains and 5000+ keywords. Also, along with these, you can come with the custom programs as well. Once you registered with AuthorityLabs, login to your dashboard and to start with your campaign, add your domain first on which you want to perform some analysis, do some research, etc. Now you will have to add keywords which you want to analyze and check ranking. You can also connect your AuthorityLabs account with your Google Webmaster and Google Analytics to know for which keyword you are ranking at the top. So as we can see, AuthorityLabs allow us to do the complete SEO management for our site. So to summarize this, we can do the below items with AuthorityLabs. SEO Rank Monitor is also a good alternative of WebMeUp. They too provide 14 days of free trial to their SEO management tool. The mobile ranking, clean dashboard, Local ranking, automated report and link building are their amazing features which you can use in your SEO campaigns. 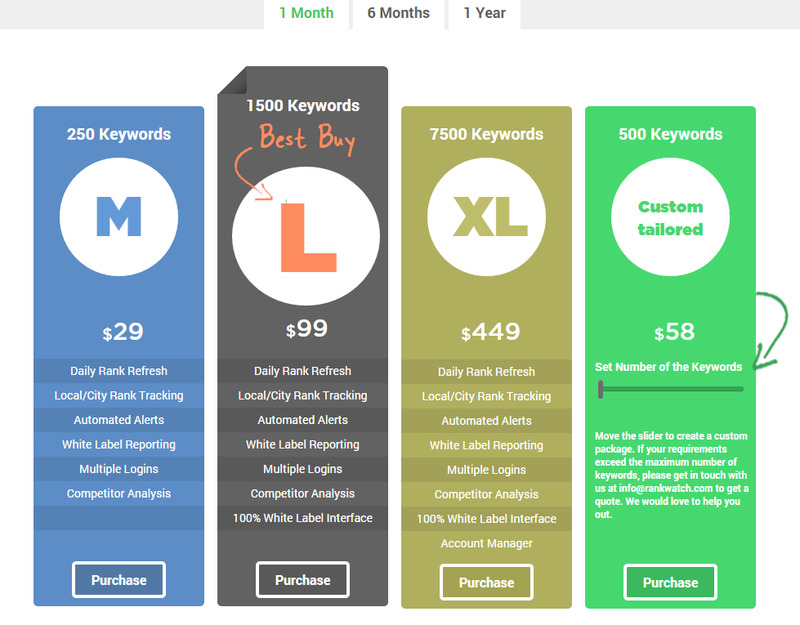 SEO Rank Monitor's plans start at just $19 per month, but the limitation is, you can create only one campaign and up to 100 keywords. For higher keywords and campaigns, you may try their Pro plan at $49 per month, Pro Plus at $99 and so. These were some of the best WebMeUp alternatives which you can use for your SEO campaigns. These tools help you from end to end in your SEO strategy starting from keyword research to link building and spying your competitors' links. Hope you liked these top WebMeUp Alternative. Which you liked most?